We can analyze that to no end I’m sure… remember when Presidential campaigns only lasted 18 months? I do want to point out something that I haven’t seen reported in the press about this speech. Many of the party leadership are calling for a truce on abortion like Indiana Governor Mitch Daniels or believing it won’t make a difference this election year like Alabama Governor Haley Barbour. Some of the up and coming Republicans in the House aren’t particularly concerned about abortion either. Governor Sarah Palin dissents last night in Des Moines saying one of our “time-tested truths that make our country great” and part of the commonsense conservatism we should dear is the sanctity of life. And that every innocent life has purpose, has destiny. Every innocent life deserves to be in that circle of protection and respect. While the rhetoric and focus is pointed toward fiscal matters we must uphold the sanctity of life. 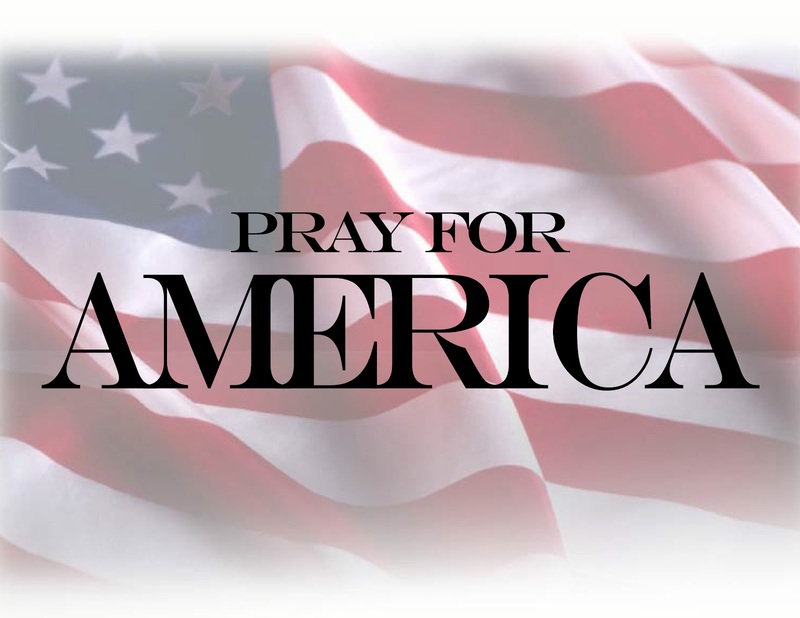 It is an American principle that reflective of higher moral law. If this issue and other social issues don’t matter, then somebody forgot to tell the voters or Sarah Palin for that matter. Shane Vander Hart is the editor of Caffeinated Thoughts. You can follow him on Twitter or friend him on Facebook. He loves to connect with fellow Rogues. They had 135 tables with each table producing $1000 (some were discounted for candidates). So they took in at least $100K tonight, minus room rental and meals. Not too shabby. 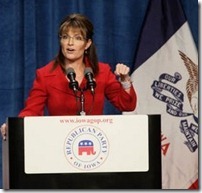 Now let the 2012 speculation begin… she spoke for the Iowa GOP… for FREE?!?!?! Shane Vander Hart is the editor of Caffeinated Thoughts. Feel free to follow him on Twitter or friend him on Facebook. Gov. Palin’s National Quartet Speech retrieved from PalinTV. Gov. Palin spoke about faith and family at the National Quartet Convention, dedicated to Christian music on September 16. The event was across the street from and followed on the heels of a Rand Paul fund-raiser Gov. Palin spoke at moments before. Adrienne Ross covered both events. Governor Palin told a funny anecdote about running in Iowa and took a jab at Vanity Fair in the process. 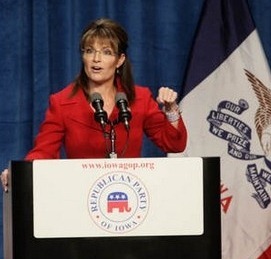 Toward the end of this video, Governor Palin makes her most overt statement of interest in a Presidential bid to date. Gov. Palin Answers Million Dollar Question retrieved from Fox News.